All Cryolabs are designed and manufactured to the very latest standards and offer strength and durability within a lightweight high-efficiency package. State of the art super-insulation and ultra-high vacuum techniques ensure unrivalled thermal efficiency and vacuum life. 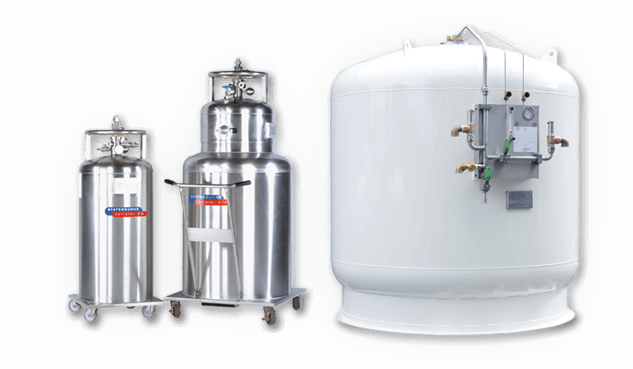 With a range of storage capacities from 2 to 50 litres and an array of accessories designed to facilitate safe and reliable liquid nitrogen handling the Cryolab Series are ideal for laboratory applications. Cryolab High Performance Storage Dewars. High performance aluminium dewars for storage of liquid nitrogen. Portable and vacuum-insulated, our vast array of models will fit your needs and store your contents safely and securely every time. CO2 Solutions for food service, industrial, and water. Convenient, simple and durable, the complete EasyCarb series is designed to make your job easier. Covering every mode of supply from low pressure N2 for cell storage and O2 delivery for oxygen therapy up to the highest flow high pressure laser applications. The Bulk Liner series of ISO intermodal cryogenic containers offer the very latest in innovation from Statebourne. Taylor-Wharton offers a complete range of vertical and horizontal Bulk Tanks.